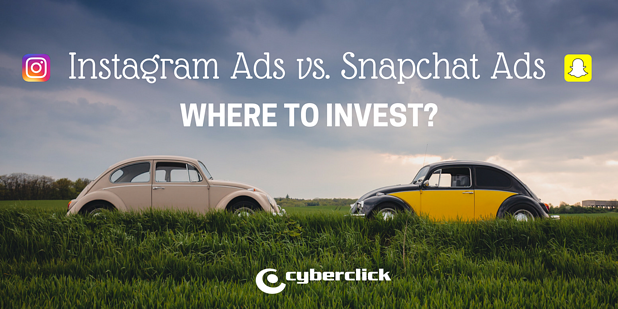 Snapchat vs. Instagram: Where to invest your digital marketing budget? The advertising world is full of opportunities to promote your brand… but on the other hand, unfortunately, budgets and resources tend to be quite limited, forcing us to focus our efforts on just a few of all the available platforms. Instagram and Snapchat have a lot in common, both being very visually oriented networks and very popular among the young public. So which one is best to invest your brand’s digital marketing in? This is a decision only you can make, but I’d like to help you out by summarizing some of each network’s strong points. Thanks to its new formats, Stories and Live Videos, Instagram has strengthened their real time marketing options. Which you can, of course, combine with its “classic” formats, like photos and permanent videos. It has a solid database of users and, as such, is more effective when attracting users - if they have to choose, they will most likely choose the network where they can share content with most of their contacts. By default, it is a public network (except for users who have specifically chosen to keep their content private), lending more visibility to its posts. It offers a very powerful advertising tool, with an array of formats and options to choose from, which is totally integrated with Facebook Ads. It offers very complete and simple analytics, which is extremely useful to check up on the overall state of your campaigns. It is more appropriate in reaching out to a more mature audience, as, according to data from Refuel Agency, 25% of the users are between 30 and 49% years old. It also has a much more equal balance between genders than Snapchat. It also offers plenty of different options to edit images, giving them an artistic and professional look. If your ideal audience is worried about looks, Instagram might be the ideal choice. Snapchat is temporary and fleeting by nature, and that reinforces a sense of urgency in users - it can be a very good technique for limited offers and promotions. Although it may not be as established as Instagram, it has the advantage of still being a novelty, meaning you can use it to reinforce the fact of your brand being uptodate and innovative. It is a private network. Although this limits your posts’ visibility, it can also play in your favor if you use it to create a close and unique or seemingly singular relationship with your users. Its advertising solutions are much less saturated, meaning you will have much less competition if you decide to invest your digital marketing in it. 70% of the users are female, which is definitely worth keeping in mind if you are targeting a largely female audience. Its geofilters and effects & filters make your pictures and images innovative and fun. If your brand values spontaneity over perfection, Snapchat might be the network for you.